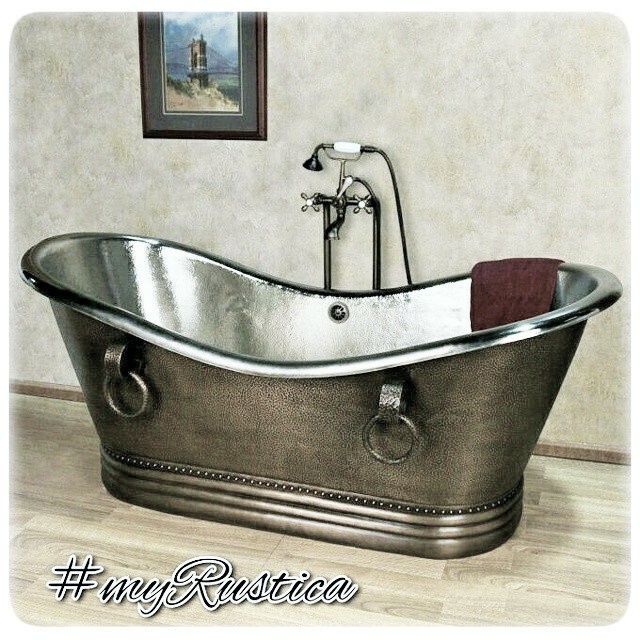 Click the button below to add the Copper Bathtub '9919' to your wish list. A hand crafted country style copper tub is the latest trend in bathroom remodeling. Hammered copper only amplifies rustic look further blending easily with the existing home decor. It takes only four weeks to have it made and delivered from Mexico to the US address. The country copper tub on the photo was made in dark coffee. Other options are honey, natural and antique which is created by washing light with dark patina. It can be furnished with the over flow fixture connecting upper with the bottom drain. It prevents water overfilling and flooding the floor. Copper tubs are hand hammered in Mexico in all standard and custom made dimensions. Copper can be finished with dark or light patina and the tubs equipped with over-flow system.